Brain is slowing down. Getting distracted again! I always leave the door to my room open so that the cats could freely come and go as they please. 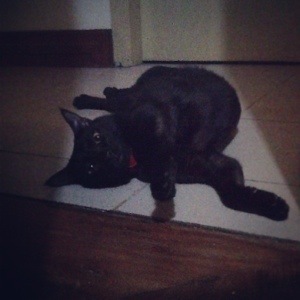 Guess who’s baring her tummy right in front of it? She looks like she’s daring me to go ahead and streeeeeetch. Sigh. I wish I could just relax like that! 🙂 Guess it’s a sign that I should go get some shut-eye myself. *yawn* Tomorrow is going to be another loooooong day. Like I said, no holiday for me! 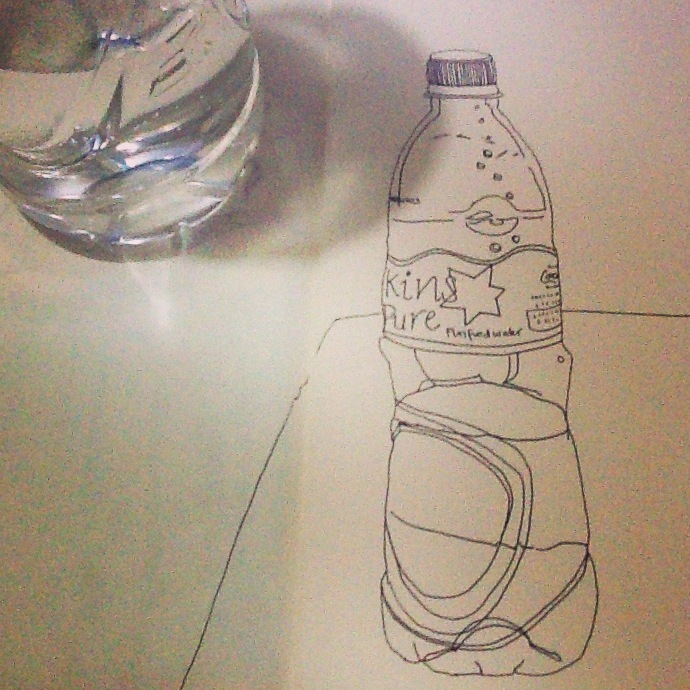 Sketching the water bottle is a great idea, as is stretching on the floor with your cat!